Online Application Details for Rail India Technical and Economic Service Limited RITES Recruitment of Joint General Manager and Deputy General Manager is given below. 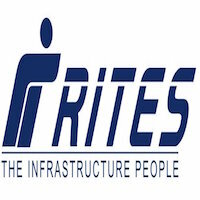 Application form and duly attested documents are to be sent to “Assistant Manager (P)/Rectt., RITES Ltd., RITES Bhawan, Plot No.1, Sector-29, Gurgaon – 122001, Haryana or mail it to Rectt.nagpur@rites.com. In envelope super scribed with 'Application for the Post of Post Name'.